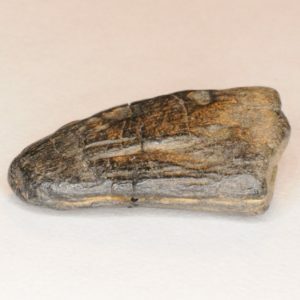 Theropod teeth are typically laterally flattened, have an extremely laterally flattened base contour, are curved lingually, and possess serrations. 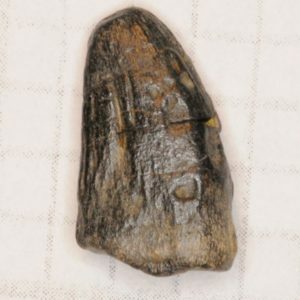 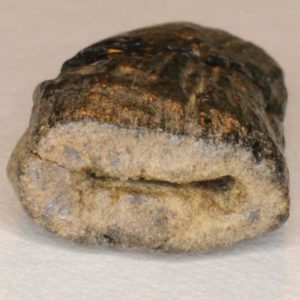 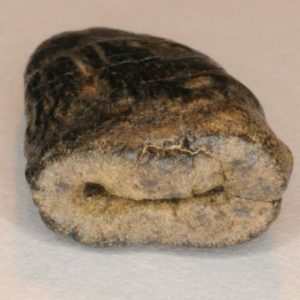 This tooth is abraded, but is identifiable as a theropod tooth. 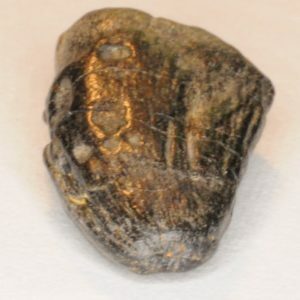 It is very likely D. aqualunguis. 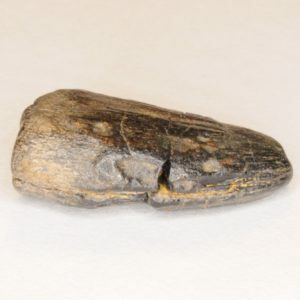 The main difference between this dinosaur’s teeth and Mosasaur teeth is that these teeth are laterally compressed, unlike Mosasaur teeth which are more three-dimensional. 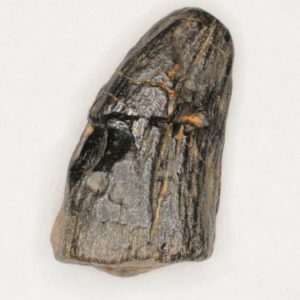 D. aqualunguis teeth, just like many other theropods, also possess prominent serrations on the carinae; Mosasaur teeth have a weak, bead-like serration which may not be present unless the tooth is large and unabraded.